How Lindsay lost 61 lbs and changed her life! How to Lose 61 lbs and 6 dress sizes in 6 months ore less. Lindsay joined FitWorkz 24 hour hybrid training gym in DeKalb and for 6 months she did what most gym members do. Get 3 Months of Lindsays Program here. Part of her program is below but the link to the left gets 3 months of everything you need to lose weight. She was also taking a low fat and lower calorie approach to food. There is no questions Lindsay was working hard and doing so consistently. For her efforts she managed to get the scale to budge all of about 4 pounds. 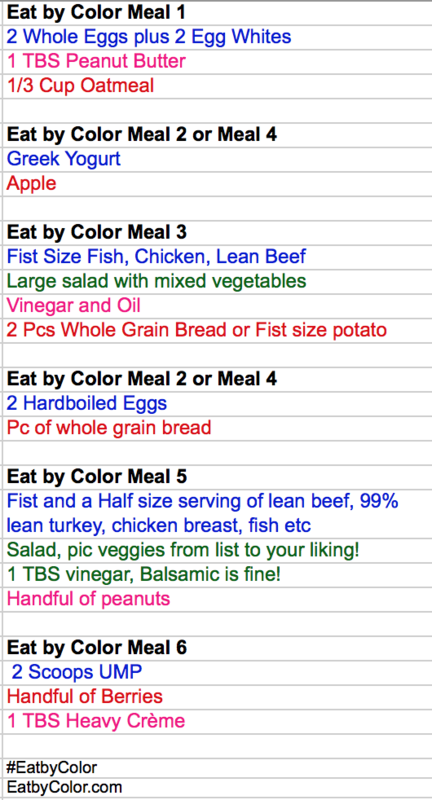 Lindsay’s Eat by Color Nutrition program is below. Get 3 Months of Lindsay’s Program Here. Here is one of the program’s Lindsay used to lose 61 lbs. Ray Binkowski is the Owner of Fitworkz, DeKalb, a 24 hour hybrid fitness training center, author of several fitness and health books and the producer and host of the OCB Midwest States bodybuilding and fitness competition. Most importantly to us, he is an expert on functional fitness that has consulted military, law enforcement, tactical entities, professional athletes and people from all walks of life to optimizing their physical readiness and capabilities. He holds a Bachelor of Science in Mechanical Engineering from Northern Illinois University and various fitness certifications. Looking for something different give this a try. Complete each exercise for 30 seconds then move on to the next exercise in the list. Carry for 1 Minute, Change Arms, Repeat 2 more times. Ray Binkowski is the Owner of Fitworkz, DeKalb, a 24 hour hybrid fitness training center, author of several fitness and health books and the producer and host of the OC B Midwest States bodybuilding and fitness competition. Most importantly to us, he is an expert on functional fitness that has consulted military, law enforcement, tactical entities, professional athletes and people from all walks of life to optimizing their physical readiness and capabilities. He holds a Bachelor of Science in Mechanical Engineering from Northern Illinois University and various fitness certifications. 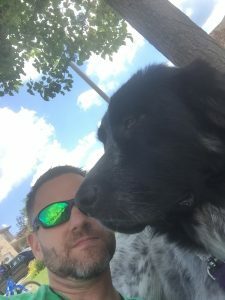 He is also a husband, father and loyal dog owner who does not appreciate clowns. 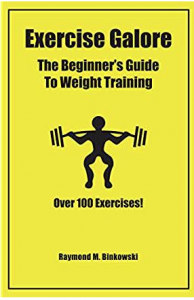 Excerpt from the book Exercise Galore, The Beginners Guide to Weight Training. There is a great deal of information in this book on exercise. Over one hundred exercises, explanations, pictures, and videos demonstrations. There are results producing training programs in the Appendix. Everything you need to reach your goals and create a lifestyle of health, wellness, and weightloss. Unfortunately, this book will do nothing for you if you do not execute. In other words you have to take action to make it happen. Action starts with a goal and reason. There is no skipping this step. Check out the action plan or steps below to jump-start the process. Raymond M. Binkowski is the author of Eat by Color, Get Fit and Live Healthy, and Exercise Galore. He has lost over 60 pounds and kept it off for over 15 years. Ray is a coach and trainer and owns FitWorkz Hybrid training 24 Hour gym in DeKalb. Eat by Color nutritional programming is not a diet and teaches interested members how to make better food choices. There is no counting calories, points, macros or anything else with Eat by Color. Subscribe to this channel and take advantage of the more than 1,400 videos on nutrition, exercise, motivation and more! [Secret] Hack to Keto, Macros and Eat by Color! Most if not every approach to nutrition works if followed. There is the secret if there is one. Follow keto, macros, or Eat by Color. You have to follow the plan/diet/parameters or whatever it may be with the food plan. If you don’t there is not chance it will work. Calories matter. Every approach to eating to lose weight will in some way control the calories consumed. If you over eat calories the plan is not going to work. Now the next question quickly becomes can I do this forever. If the answer is no, well you have a diet and a short term quick fix. Fall Favorites made Better! Trainer vs. Dietician. Fall Favorites made Better. Trainer Ray Binkowski of Eat by Color and FitWorkz and Lisa Brandt RD of Hy-Vee pic their top 3 fall foods. Check out the video and learn the benefits of each and how to make some great tasting fall favorites with them. How to Track Your Eat by Color Progress with the My Fitness Pal App and staying on track and reaching your goals easy. On your mobile device install the My Fitness Pal App. There is a premium version but the free version will do almost everything you need it to do. If you are one of our Eat by Color clients using our training app the free app is more than adequate. The app will set daily calories, protein, carbohydrate and fat but you are going to need to change them to meet your goals. This is pretty easy and covered in the video above. The app will also increase calories based on activity levels… DO NOT eat more just because you exercised. Shoot for the same caloric total daily. Eat by Color Integration of Training and My Fitness Pal Apps makes reaching your goals fast and easy. The Eat by Color Training app allows you to track your nutrition and measure progress with exercise all in one spot. Set goals, hit PR’s and allow your Eat by Color coach and trainer to see what you are doing. Your Calories, Protein, Carbs and Fat will be at the top of the nutrition section of the Eat by Color training app. Integration of the Eat by Color Training app with My Fitness Pal is easy. It is a matter of allowing access on your mobile device. Check out the video above. If you do not have My Fitness Pal on your mobile device watch the video at the link below. Tracking Your Eat by Color Progress with the My Fitness Pal App makes staying on track and reaching your goals easy. On your mobile device install the My Fitness Pal App. There is a premium version but the free version will do almost everything you need it to do. If you are one of our Eat by Color clients using our training app the free app is more than adequate. Secret Eating Right While Surviving the Chaos of Back to School. Planning and prepping meals in advance will determine if you can eat right with the chaos of the start of the school year. Worth restating. Planning and prepping meals in advance will determine if you can eat right with the chaos of the start of the school year. Spend the time and create a weekly or monthly family food menu. From the menu create your grocery list. Then spend one day to prep the meals for a few days. Most will find it easiest to prep for a minimum of Monday-Friday. This will make life easy, allow you to eat right and you will be surprised to find you will spend less on food. **TOP Secret** Get your family to eat those vegetables. Combine onion soup mix or ranch dip powder to plain Greek yogurt. Use this as a dip for your vegetables. This is a great way to get kids to eat more vegetables, up the protein of a meal, and reap the benefits of yogurt. Get access to training and coaching for as little as $8 a workout or less. Many training membership options are available.Over 1,400 videos on Nutrition, Exercise, Supplements, Healthy Wellness and more Youtube.com/FitWorkzDeKalb! Functional training at home with no equipment programs allow you to supplement your gym or box training on days you are pressed for time or can’t get out for a workout. Most of us have started out exercising like a bodybuilder. There is nothing wrong training this way but for most it is not congruent with goals and does not fit the available time to exercise. With functional training you can accomplish more with less time training. Plus many of the movement patterns (exercises) have a greater crossover to daily activities. In addition, functional training improves balance, coordination, mobility and flexibility. With an old school bodybuilding type workout each would require another workout. 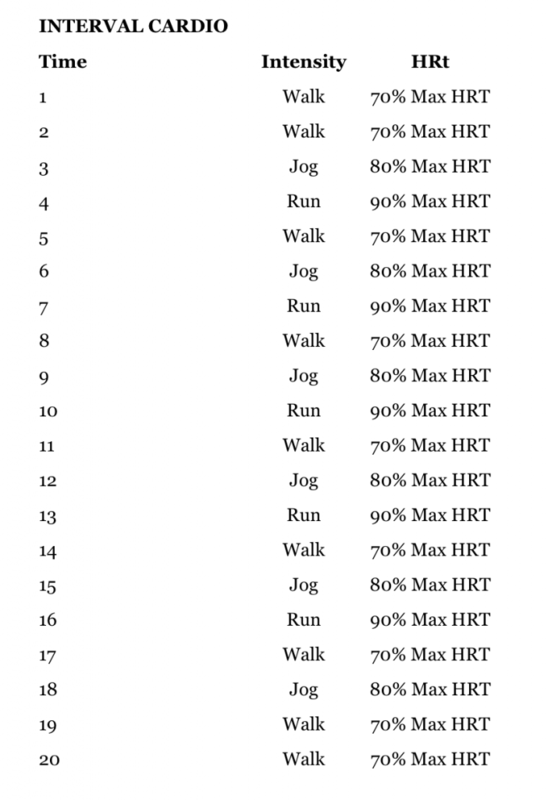 Complete Workout 1 and Workout 2 1-2 times per week. Complete GPP and Core 1 or Core 2 after each workout.